Akajanga from the Victoria Lake Region is wondering how the effects of climate change like floods, irregular rain patterns and global warming are affecting our next generation. He thinks, that biomass and solar engery are very important for ending the use of fossil fuels that are responsible for a large scale of the climate change. 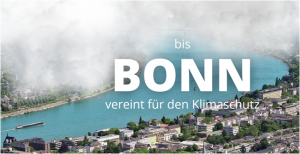 A team of RE-DIRECT will be at the world climate summit in Bonn, Germany from 06/11/2017 to 19/11/2017. We will interview visitors and experts and talk about climate change, the substitution of fossil fuels and the impact of RE-DIRECT. The second partner meeting is scheduled October 10th to 11th at Brussels, hosted by Pro Natura. German Team members (LP, PP03) collaborate with a representative of potential investors and starts working on investment scenarios. Capacity Building questionnaires have been set up and distributed to the partners including stakeholder analysis, information on best capacity building formats and competence portfolio. The questionnaires will be used as first step of a Delphi Study design to forcast the regional developments. 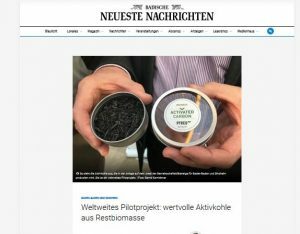 The kick-off meeting in Bonn in January 2017 officially inaugurated the project activities. The meeting served to get to know to each other and to the project activities ahead, and to plan the subsequent steps in detail. The highlight of the project Kick-off meeting was the visit of the company PYREG in Dörth, Germany. 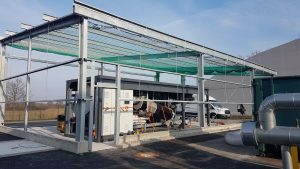 PYREG is a German manufacturer of small decentralised dry carbonisation units and one of the potential manufacturers for the investments during the project. All project participants were impressed by the presentation about the PYREG technology to convert biomass to charcoal. 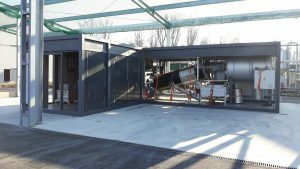 The existing Pyreg plant, the Pyreg 500, can convert roundabout 1400 t of Biomass a year into 300 t of Biochar. The technique used is a continuous process of dry carbonisation. The biomass is heated up to 550 – 600°C in a low oxygen surrounding and gasified. The gases are burned in a FLOX (flameless oxidation) combustion chamber, without the formation of tars and condensates.